ITG President Kim Dunnick announces the appointment of a new Legal Counsel for ITG. Florida attorney Joe Bodiford has agreed to accept the position, effective July 2, 2013. The ITG Legal Counsel provides legal advice to ITG on various matters from contracts to wording on new policies and other issues on which ITG wishes a legal opinion. 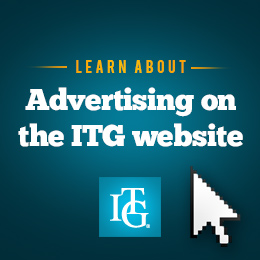 The ITG Counsel has traditionally been a trumpeter who works pro bono on behalf of the organization. We are fortunate to add an attorney of his stature and expertise to our staff. Joe Bodiford is an attorney in Tampa, Florida, and Adjunct Professor of Law at Stetson University College of Law. He holds a B.A. in Music with Certificate in Performance, and an M.M. in Trumpet Performance from Florida State University, where he studied with Bryan Goff and John Ossi. He was the Master's Level winner of the 1992 National Trumpet Competition, finalist in the 1989 ITG Mock Orchestral Competition, winner and finalist in numerous regional competitions, and recipient of many ITG Conference Scholarships. Bodiford plays with the Florida Wind Band, and has played with several orchestras in the Tampa Bay area, and is an active soloist in the area. He has a large collection Mahillon trumpets, cornets, flugelhorns, and piccolo trumpets, and is actively conducting research in an attempt to verify manufacture dates of Mahillon instruments.